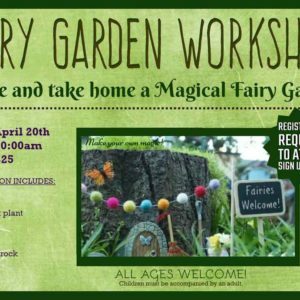 Workshop – Nelson Nursery, Inc. Create and Take Home a Magical Fairy Garden! Registration fee includes: Container Soil A succulent plant Pebbles Moss Mulch. 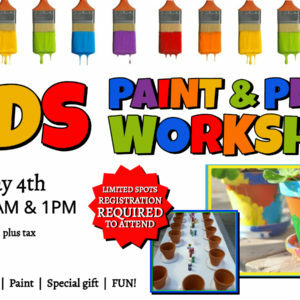 Join us for a fun workshop just for KIDS. Workshop includes: Plant | Soil | Pot | Paint |.